A century ago, the introduction of the automobile into the daily lives of Americans changed, well, everything. The world became smaller: you could get around faster than you ever had before, all thanks to four wheels, an engine, and some gasoline. Naturally, gas stations popped up on the corner of every community — even the smallest towns needed one, and they dotted the roads between those small towns, too. Fast forward to present day, and more cars are relying on electricity instead of gasoline for energy. In the future, more than 71 million autonomous vehicles of the 260 million currently on the road are expected to be on the road by 2030. So what do you do with all of those perfectly-placed fuel stations in every community? Turn them into fuel for our bodies instead. In a new “Get Pumped” partnership between Reebok and global architecture and design firm Gensler, we’ve reimagined an adaptive reuse of gas stations across the country as Fitness Hubs, where people can prioritize their mental and physical wellness. The goal is a country where a healthy gym and restaurant are no more than a few miles away. 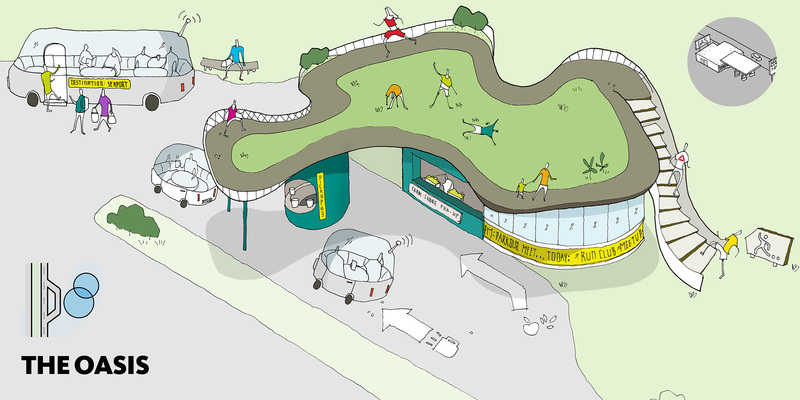 “We envision our cities of the future to have a network of fitness oases between home and work where you could stop and recharge more than just your car. Imagine an option to leave the traffic jam to unwind with yoga, get your Crossfit Fix, or pick up a green juice and your weekly farm share all in one place!” said Alfred Byun, designer at Gensler. 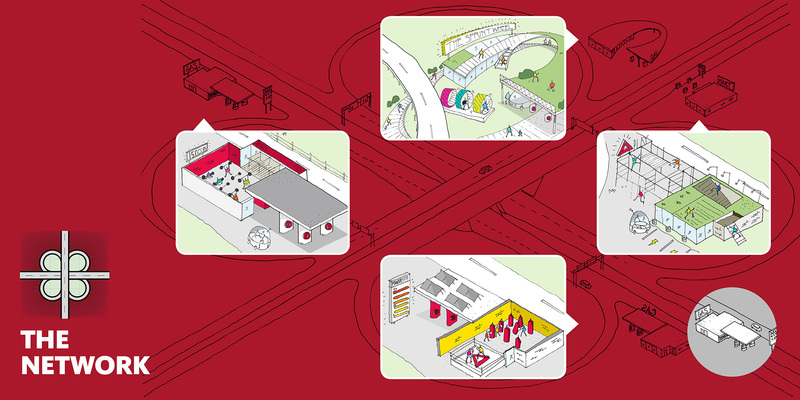 The Network: We’ve imagined the major, interstate rest stops as the power grid of the future. They’re a place where travelers can stop and generate energy through spinning and boxing, Crossfit, Les Mils, and a running trail. The Oasis: The larger gas station that commuters pass on small, local highways will be turned into recharge zones, to capitalize on the type of mental and physical rest those commuting need. There are real food offerings from a farm-to-table eatery to a juice bar, as well as yoga and meditation pods. The exterior will provide sustenance in the form of an herb garden, and outdoor wheels where you can run in the fresh air. 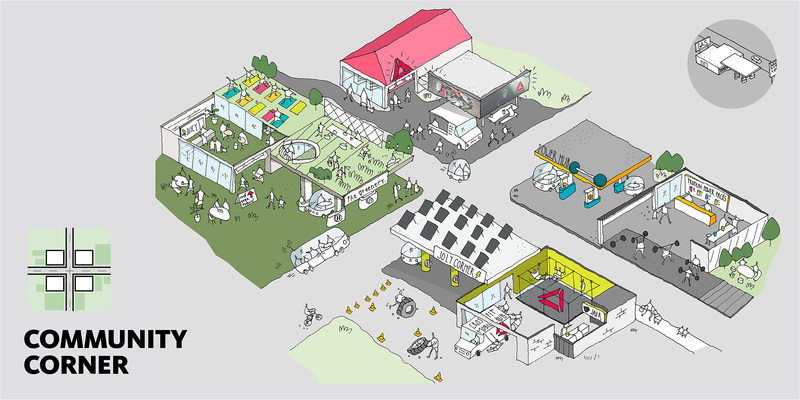 The Community Center: The local, small town gas stations are transformed into four different ways for communities to enhance their healthy life. People can charge electric cars, and in the auto repair shop, there will be nutrition classes. The minimart will offer local, healthy food, and pop-up trucks will offer rotating Crossfit and Spinning classes so there’s no lack of access for healthy options. This post was first published at http://www.reebok.com. Reebok International Ltd., headquartered in Boston, MA, USA, is a leading worldwide designer, marketer and distributor of fitness and lifestyle footwear, apparel, and equipment. An American-inspired global brand, Reebok is a pioneer in the sporting goods industry with a rich and storied fitness heritage. Reebok develops products, technologies, and programming which enable movement and is committed to accompanying people on their journey to fulfill their potential. Reebok connects with the fitness consumer wherever they are and however they choose to stay fit — whether it’s functional training, running, combat training, walking, dance, yoga, or aerobics. Reebok Classics leverages the brand’s fitness heritage and represents the roots of the brand in the sports lifestyle market. A subsidiary of adidas, Reebok is the exclusive outfitter of CrossFit and the CrossFit Games, the official title sponsor of the Reebok Spartan Race; the exclusive authentic global outfitter of UFC; the title sponsor of the Reebok Ragnar Relay series; and exclusive apparel provider for Les Mills.